Elephant Hill is located within a stone’s throw of the Pacific Ocean on the idyllic Te Awanga coast in Hawke’s Bay, New Zealand. Established in 2003, Roger and Reydan Weiss and family set out to create an exceptional winery, restaurant and vineyards inspired by the Pacific Ocean, Cape Kidnappers and the spectacular beauty of the coastline. 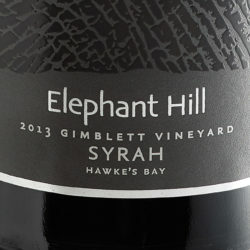 Every bottle of Elephant Hill wine is a proud testament to the hard work, focus and determination of the entire team. 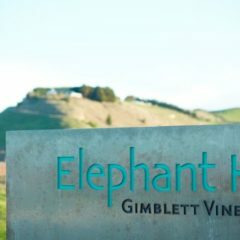 Elephant Hill is made up of three vineyards in three renowned sub-regions of Hawke’s Bay, the coastal Te Awanga, the inland GIMBLETT GRAVELS WINE GROWING DISTRICT and the Bridge Pa Triangle. Our belief is that great wines are hand-made wines where meticulous attention to detail starts in the vineyard. This is why all our grapes are 100% hand-picked and hand sorted in order to be very selective in using the best possible fruit to make our wines.